Shrewsbury Drain Clearing, Clear Blocked Drains, Unblocking & Drain Cleaning by a local drain expert. A Shrewsbury Drain Clearing Company with a wealth of experience in carrying out all drain services including cleaning, clearing, unblocking and drain maintenance work covering the Shrewsbury area. Ideally situated for Bicton Heath, Cructon, Bayston Hill, Atcham, Attingham, Uffington, Battlefield, Fitz, Leaton and all town and villages in the Shrewsbury area. As an independent drain specialist and drain cleaning contractor we can keep our prices low and offer the best value for money. Our Shrewsbury drain clearing team can be contacted 24 hours a day, 7 days a week, even if it’s just to ask for advice. Providing independent advice to all whether they are customers or not regarding any drainage problems you may have. We believe that a customer needs to be given every opportunity to have drain problems solved as quickly and as cost effectively as possible. 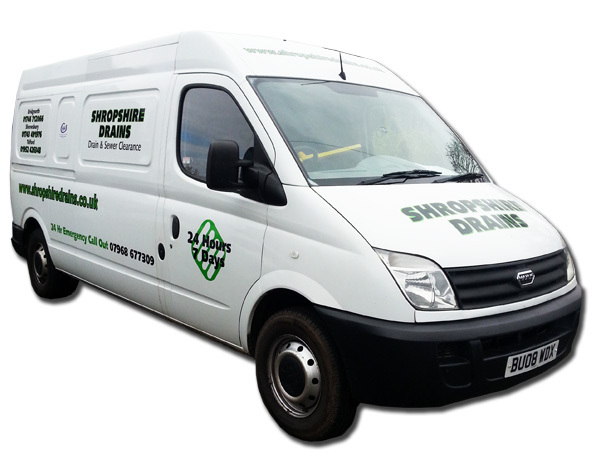 Shropshire Drains are an established local company with over 20 years experience in carrying out drain cleaning, unblocking, cleaning and maintenance work covering the West Midlands, Shropshire and Worcestershire area.